The Party Center at Mulligan's Pointe is the Perfect Wedding Event Venue for Your Dream Wedding and Reception in Delaware! Let us help you plan every detail to ensure your dreams become a reality. Our full service venue boast breathtaking views of our championship golf course. The Pointe Wedding and Party Event Venue features on site catering, bar options and variety of affordable options to fit your budget and vision. Proud to be Family Owned and Operated. Mulligan's Pointe is the Perfect Wedding Event Venue for Your Affordable Dream Wedding and Reception in Delaware! Let us help you plan every detail to ensure your dreams become a reality. Our full service Country Club venue boast breathtaking views of our championship golf course. The Pointe Wedding and Party Event Venue offers affordable outdoor and indoor weddings, receptions and rehearsal dinner packages featuring on site catering and bar options to fit your budget and vision. We are open to the public and you’re invited to come by and get a sneak peek of our banquet rooms, outdoor patio bar and country club golf course anytime. We are located minutes from Rehoboth Beach, Delaware. Stop in and say hello, give us a call or send us an email anytime. Mulligan’s Pointe 22426 Sussex Pines Rd, Georgetown De 19947. Whether your vision is a Classic Golf Course Wedding venue, an intimate Reunion area, a lively Reception space or a laid-back Corporate Luncheon, consider the natural rustic beauty of the Rooms at the Pointe for your next occasion. 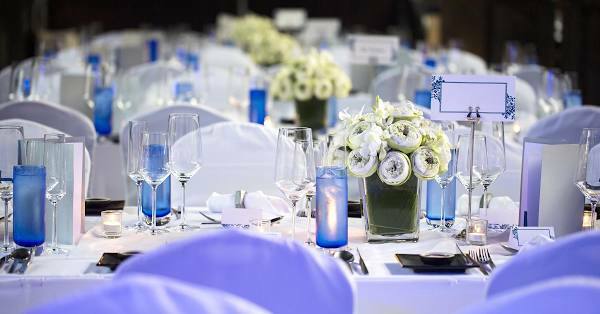 We provide full event setup and planning tailored to your needs, you provide the guests of honor and the vision! Choose the Pointe as an affordable option with elegant, timeless personality. Our banquet facilities can provide a variety of packages to fit your budget. The Newly renovated Banquet Rooms can seat up to 300+ people. Looking for something more intimate? No Worries we can accommodate any size event for all size budgets.